Who doesn't battle afternoon boredom? Let's not take a show of hands. Rest assured, my hand would be raised. You know the story. Three o'clock. Children squabbling. A high schooler STILL needs help with Algebra. And dinner? It's frozen on the counter! Afternoons can be hard. Yet, after years of beating afternoon boredom, I know the efforts I made toward defeating "I'm bored" syndromes--in myself as well as my children--mattered. In fact, hobbies launched and rediscovered interests became catalysts for entrepreneurial pursuits, high school courses, and career choices. 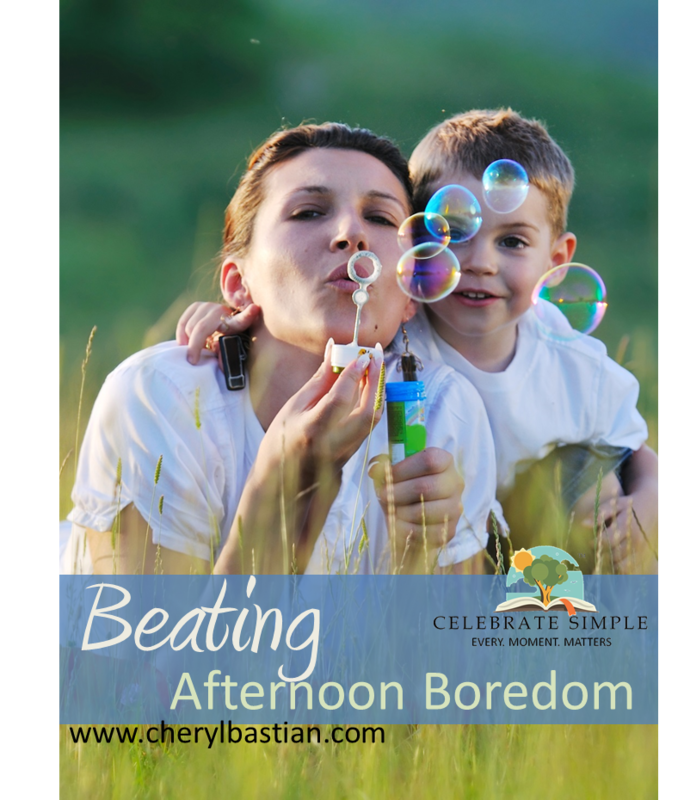 Beating afternoon boredom is worth every ounce of time and energy we can muster. At a recent mom's event, a group of ladies gathered after to ask me how our family beats the afternoon wearies. Our strategies varied with life seasons. had Popsicle and wading pool parties--adding measuring cups, a bucket, and garden hose to change things up--as long as the weather allowed. ran around outside playing with squirt guns. played in the lawn sprinkler. Notice the hose and water trend? read a book together while sitting on a blanket outside or on the couch inside. took an afternoon bath with bubbles and wrote with shaving cream on the walls (great for practicing letter formation). played hopscotch or jumped rope. created with sidewalk chalk on the driveway. painted the garage door with water and paint brushes. bought a basketball hoop and gathered children from the neighborhood to play. played wiffle ball in the dead end street. encouraged outdoor adventures and independent studies. sat on the floor in the hallway across from the bathroom so I could supervise littles in the tub while also helping an older sibling with math or editing papers. spread a blanket under a shade tree for afternoon tutoring while the littles rode bikes around the driveway or played hide-n-seek. listened to audio books, our favorites being Jim Weiss recordings and Your Story Hour, again while mom worked with the bigs. offered play dough, pattern blocks, old magazines to cut, or watercolor paints. enjoyed playing in the sandbox while mom and older siblings sat nearby and completed math or mom edited papers. used masking tape to create a "village roadway" on the carpet so littles could build houses and garages for their toy cars and play "village". made a masking tape hopscotch on the carpet for littles to be active when weather wouldn't permit us to be outside. asked bigs to go on a date and take learning to new surroundings. discussed the plot and characters of a current read while running errands or taking a sibling to practice. encouraged bigs to work on independent studies. enjoyed front porch read-aloud time. sat together on the couch and read books of interest. Farm study was always a favorite. took a teen or young adult on a date to talk about things that mattered to them. used a coupon and bought five pounds of clay at a local craft store. spent time at a local park or community swimming pool. made brownies for the elderly neighbor and went to visit. dug a hole in the backyard (not my favorite or my idea, but it was sibling generated and encouraged collaboration and working together). made impromptu afternoon library runs. created something yummy in the kitchen, often to "surprise" Dad when he returned from work. made cards for family member's birthdays. cared for our porch science projects. spent the afternoon creating with watercolor. Go ahead! Beat the afternoon boredom. YOU can do it! It will be worth your time and effort. And, in the process, your children and young adults will learn valuable life skills: time management; collaboration; communication and conflict resolution; work ethic; teamwork; working independently; and caring about others ideas, thoughts, and feelings. 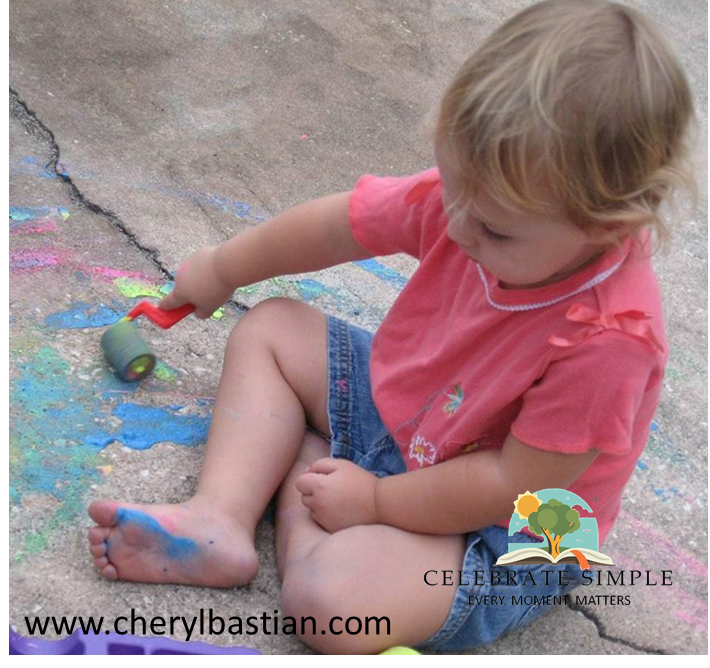 Sign up for our Celebrate Simple E-Newsletter. It's everything dogs for our littlest learner. She's curious about what dogs eat (getting eye level--but not too close--to watch ours furry friend eat). She's curious about how why they pant, how they feel to touch. She wants to know everything about every dog she sees, large or small. Sitting in the dentist office last week, waiting for big sister to finish her appointment, I found a treasure--an attention grabbing-just-what-we-needed-at-that-moment treasure. A book featuring photographs of dogs. I handed it to our youngest. I knew it would keep her attention. It was a "mom hung the moon" moment. She looked at me. Her eyes seemed to say, "Thank you for caring about my interest!" The excitement on her face. The eagerness in her learning. The pure joy! As she paged through the book, I engaged with her about the pictures on each page. She'd look at me and smile. With every smile, I thought about two workshops I have been writing for an upcoming speaking engagement; one workshop for parents of elementary learners and one workshop for parents of middle schoolers. Relationships and curiosity fuel learning. Like adults, children need relationships. Couple that with natural curiosity--questioning anything and everything--and there is a recipe for building a love for life-long learning. How do we keep a person's natural curiosity aflame for life? Ask questions. When the art of questioning is modeled, it is readily available for learning. I wonder how that works? I wonder why the hermit crab needed a new shell? I wonder what will happen if we add more soap? I had to work hard at replacing my teaching/telling bent (saving it for where that bent was really needed) with an intentionality to listen and engage my children in thoughtful questioning. Though it took a bit of time to turn the cart around, I began to hear my children returning to their natural bent of asking questions. Definitely worth my effort. Find answers. With questioning comes the need to find answers. If I was going to be intent on encouraging critical thinking skills and the art questioning, I would also have to purposeful in helping my children find answers. And, as the children grew we had to have conversations about where to find accurate information; to ponder whether an author had the knowledge and experience to speak to a topic. We began to build a home library of reference and resource materials--field guides, a Magiscope, a heavy-duty magnifying glass, kitchen scales, history books, classic literature. In some cases, we found apps to be the best resource, for example Sky View and Sky Map. We talked to our children about the importance of primary source documents and role played how to carry on conversations with people--should they want to ask questions of someone. In addition, as our children entered middle and high school, we discussed volunteering and job shadowing. These opportunities encouraged our young adults to answer their questions about career interests by talking to professionals in the field. Be observant. Interests are not always obvious. Some interests are obvious, like my daughter's curiosity with dogs. Others are a bit more hidden, sometimes even unknown to the beholder! To discover the interests of some of my children, I had to watch, listen, and be open to how they spent their time (versus controlling every minute of their day). In my watching and listening, I began to ask myself questions. Was my child wanting to take things apart and put them back together? Was a particular career intriguing to my child? When we were at a church event or field trip who did my child gravitate toward certain people--children or adult? What did my child do to fill extra time in the day? 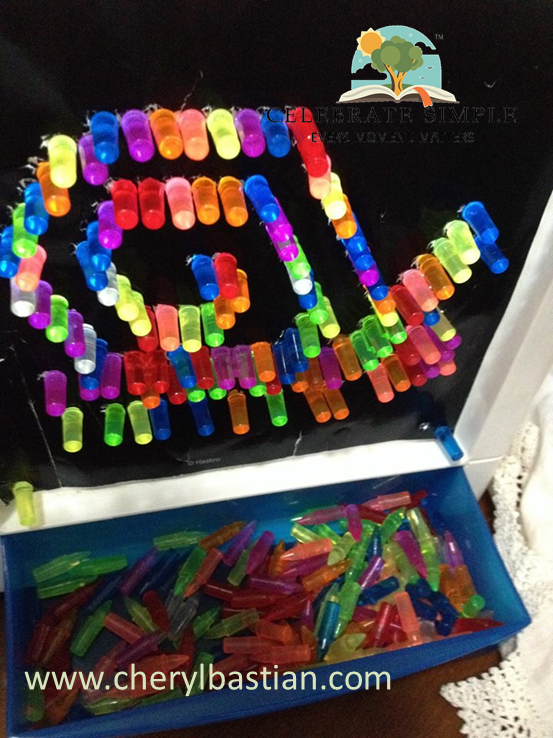 Did my child have an ability to put together colors, lines and shapes or craft inspirational poetry? My littlest learner is not yet old enough to verbalize her questions, yet her curiosity is evident in her facial expressions and gestures, through her hand clapping and dancing. Her reaction--her joy in learning--invites us to ask her questions, interact with her excitement, and fuel her curiosity by providing resources (like finding her dog books at the library). In doing so, her siblings, Mike and I are learning to help her dig deeper into her interest. As a result, our curiosity about how she learns is fostered. It is a cycle of interest-fueling learning. And it is a beautiful life-learning cycle. It's intentional, real, and relational. Preschool is foundational for life and learning. In fact, it is during the preschool years that little learners master foundational skills which serve as a base for later learning. More importantly, attitudes and temperaments toward learning are set during the preschool and early elementary years. If learning is rushed--pushed--it becomes burdensome, hard, uninteresting, and often irrelevant. When learning flows naturally from that which is real and relational--interesting and personal--there is joy and wonder which leads to unending curiosity. A love of learning is nurtured and begins with the items and people little learners love most. How is a love of learning fostered, nurtured, and cultivated? Read aloud. Reading aloud has been one of the most rewarding activities we've done in our 27 years of teaching and parenting littles. There are so many benefits to reading aloud: setting a template for the English language, building vocabulary, bolstering listening skills, understanding parts of a story, retelling events, the list goes on. Interestingly, there have been times when our little learners are seemingly off in their own world--playing, stacking blocks, coloring. However, when we talk about the stories hours later, they remember EVERY word. So, as you embark on the read aloud journey, read even when you think your learners are not engaged. Your reading matters! They are listening. Do life together. One of the things I love about parenting preschoolers is watching their faces light up, indoors and outdoors, around the home and away from home. Every moment is a marvel, especially when preschoolers are engaged in doing life with those they love. Getting the mail might lead to a conversation about stamps, addresses, states, or modes of transportation. Setting the table teaches one-to-one correspondence. Folding laundry offers opportunities to make fractional parts by folding in half and in half again. Matching shoes and sorting toys provides real-life situations for identifying similarities and differences. And, there are those kitchen experiences, some of our favorites: measuring, comparing, weighing (math skills) as well as muscle skills, scrubbing potatoes, stirring, and kneading together. Doing life together allows preschoolers to learn alongside. Talk and listen. Preschoolers are relational. They want to engage in face-to-face conversation and hand-in-hand exploration. When we talk to our children, listen to their questions, concerns, and ideas, we model interpersonal skills and they learn how to process information, feelings, and emotions.These skills are some of the most valuable nuggets our little learners will internalize in their early years. Ask questions. It is no secret that little learners are natural questioners. They wonder what will happen next, how things happen, and when things will happen. It is in this inquisitiveness that they learn how life and people work, interact, and interrelate. Questioning is one of the most important life skills parents can foster and nurture. Mike and I foster inquisitiveness with commentaries and questions which invite our children to do the same. I wonder how the (insert animal) stays warm. What comes next in the sequence? I wonder if (insert item) will work better with this or that. Do you think will happen next? I wonder where that trail leads. Let's watch the (insert animal). I wonder what it will do next. How long do you think it will take to ...? Looking for a guide, a resource to encourage you through the preschooling years? One of my favorite resources for understanding the needs of little learners was Home Grown Kids by Raymond and Dorothy Moore. Once our children entered first grade The Three R's by Ruth Beechick became a go-to resource. 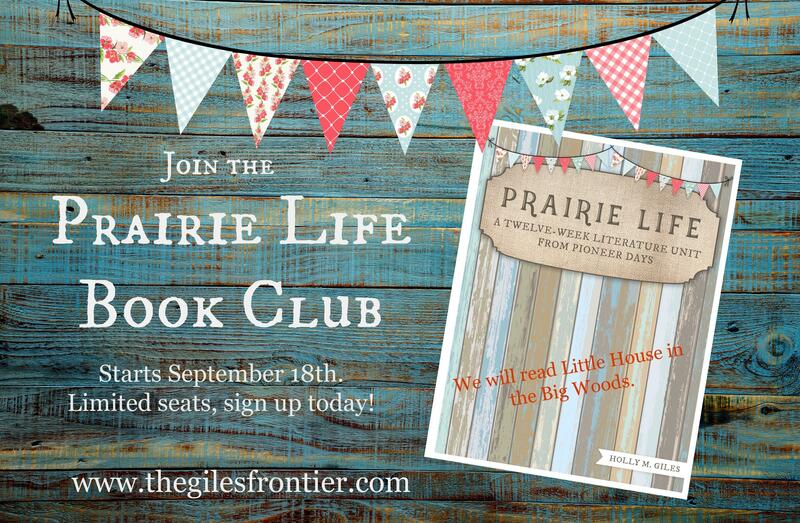 The preschool years are the wonder years, full of life and discovery, ripe with curiosity. When learning flows naturally from that which is real and relational--interesting and personal--retention follows closely behind. Yes! 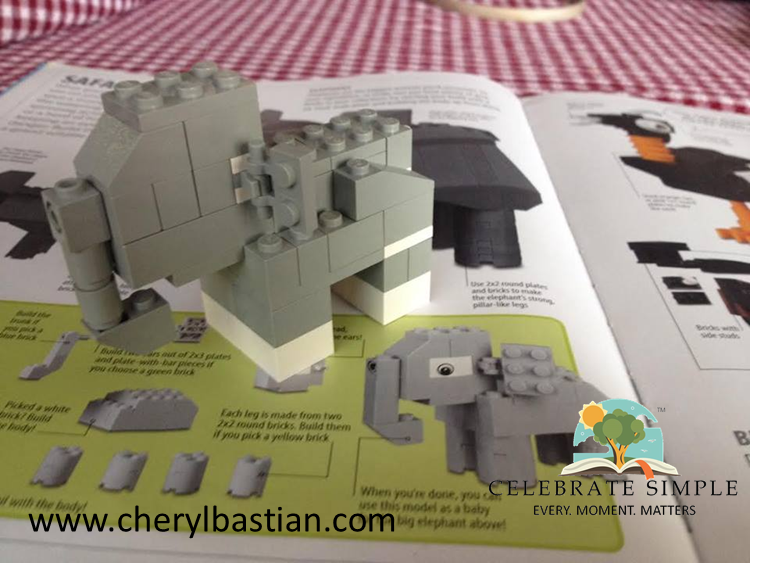 Add me to the Celebrate Simple Newsletter! Five years ago. One solid week of on and off rain. Our learners caught cabin fever. Petty arguments found themselves frequent visitors to play and learning time. My children and I needed outside time, desperately. When thunder and lightening pushed away, I announced it was time to find the raincoats. There was much to learn in the puddles. Each learner carried a small fish net, sand bucket or shovel. They were off on an adventure. Catch. Look in the puddle when the water is still. 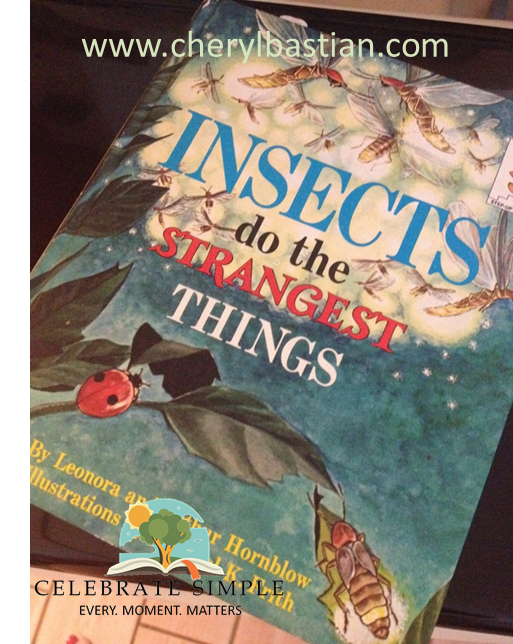 Do you see insects? Do you see any tadpoles? If there are tadpoles, try to catch some in a container. Once home, place in a larger container or fish bowl and observe over the next week or ten days. What happens to the tadpoles? Draw pictures of each change. This is an amazing first lesson about life cycles. Jump. Who doesn't love to jump in puddles? Puddle jumping allows little learners to learn about the properties of water. If the weather is particularly rainy or cold, a raincoat will help keep little learner warm during his or her discoveries. Experiment with stomping. How does the force of stomping effect water displacement? These experiences build physical skills while placing important files in the brain for later science learning. Listen. Listen to the rain drops hit the water. Listen to the rain patter on the house roof. How does the sound of rain change? Once inside, make a rain stick. Find a paper roll. Cover one end with wax paper. Measure (another great skill for littles) 1/4 cup of rice. Pour into the tube. Cover the other end to keep rice contained. Decorate. Shake. Try to replicated the sound of rain. While making music, chant Rain, Rain, Go Away or sing The Eensy Weensy Spider. Differentiating sound, replicating sound, and moving to music are important to auditory and physical development. Measure. Take measuring cups and spoons out to the puddle. Experiment with measuring. How many 1/2 cups can be poured into 1 cup? How many tablespoons can fit in a 1/4 cup? If you have a balance scale, compare the weight of 1 cup of water to 1 cup of mud. Compare 1 cup of wet leaves to 1 cup of broken sticks. Measuring and comparing are important math skills for little learners. Sink and Float. Collect objects. One by one, choose an object and guess whether the object will sink or float. If the object sinks, place it on one pile. If it floats, place it on another. 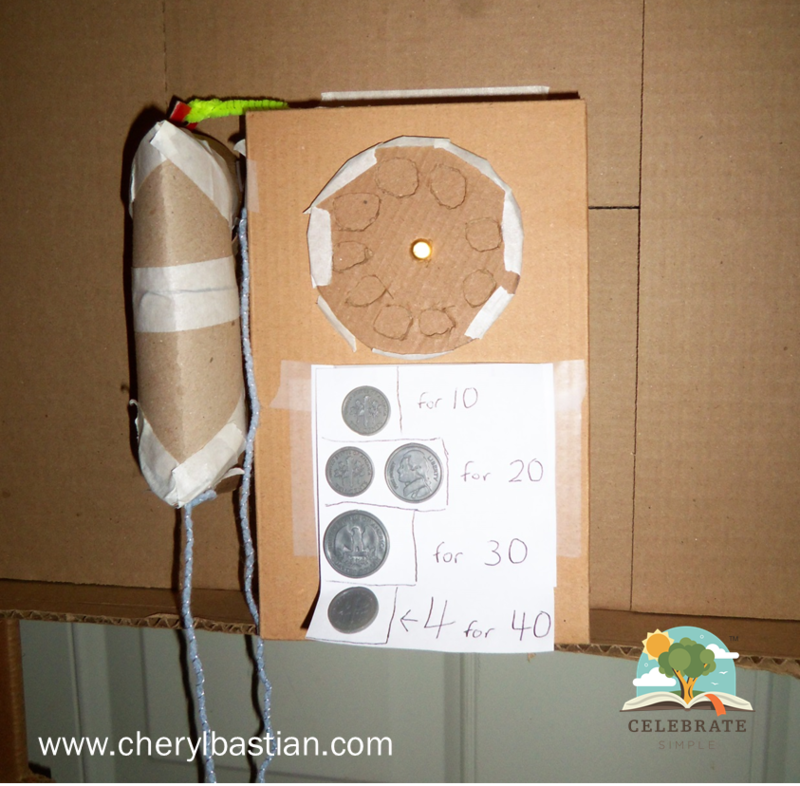 This is a great activity for children to experiment with making predictions. Write. Use a stick to write numbers, letters, or words in soft mud surrounding the puddle. For littlest learners, begin with writing the first letter of the child's first name. From the first letter, move to the whole name. Count objects. Are there object floating on the puddle's surface? Are there objects around the puddle? Count objects. Are there more objects in the puddle or on the edge? Evaporate. After rain, puddles disappear. However, evaporation happens at different rates. Be sure to go back outside to check on the puddles. Are they still there? How are they different each time you return. Read. Once inside, place wet clothes in the laundry and redress in dry. Choose a few rainy read-alouds while sipping on hot chocolate. As long as it is safe to go outside, rainy, puddle-filled days can provide memorable learning moments. It's intentional, real, and relational. And, it matters! Want to learn more? This Psychology Today article offers further explanation about what really happens when little learners play in the rain. Fascinating! Small ones, but especially LARGE ones. The other day I returned home from Aldi with groceries and BOXES! I put away the groceries and sat down to help a high schooler edit some writing. It was mid-afternoon, a perfect time for our children to enjoy exploration, adventure, and independent studies. "Mom, can we use those boxes to build a phone booth?" My mind was with my high school learner. I didn't have time to think about mess and such. So, I said yes and kept an ear out for the communications and happenings in the kitchen, you know, like moms do when "creativity" is happening. An hour later I walked to the kitchen to get a drink of water, and check on "progress". My kitchen was littered with cardboard pieces, shreds of paper, plastic inserts from a cookie package, more paper scraps, staples. And the kitchen table? YIKES! Where would we eat dinner? Mike came in the door not ten minutes later. "Dad! Look at our phone!" The phone had the makings of a coin slot, a receiver, and a timer to time calls! What an afternoon these sisters had! The kitchen was abuzz with excitement. I decided to allow dinner to take place elsewhere. 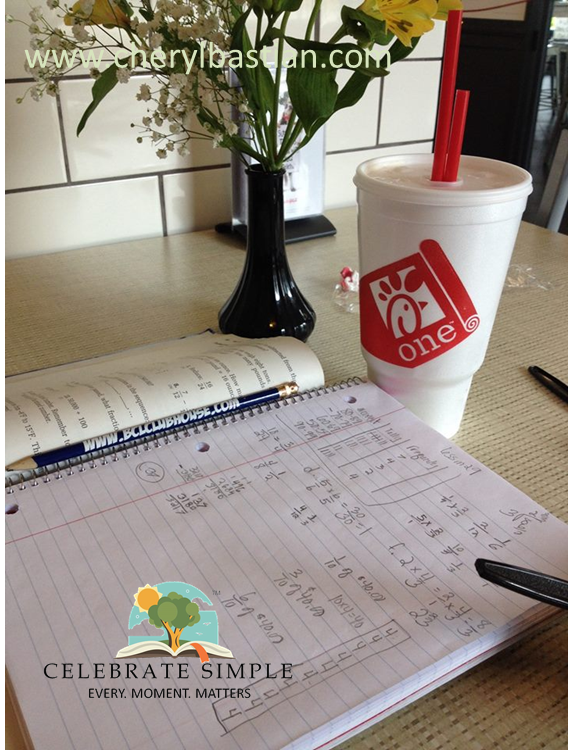 The next morning, math was done and I was working independently with an older learner. The enthusiastic builders were now hard at work in the living room. They continued their learning adventure, making a price list with plastic coins so their sister who couldn't yet add coins could play, too. For the users who could add there were hand-written instructions. Now, I will be honest. I did make a few trips to the living room after the initial booth was up and "bargaining" was taking place about who would use the booth and when it would be used. When negotiations needed navigating, I stepped in to help with problem solving and conflict resolution. Two days ago, when my learners asked to make a phone booth, I could never imagined all they would learn and practice in the process: geometry and physics in the construction, math and spelling in the user details, collaboration, problem solving, interpersonal communication skills. And it all began with some boxes, a question, and a bunch of imagination. Are there boxes in your house today? Wonder what they may be?